Astronauts on board the International Space Station (ISS) have tasted space-grown lettuce. The red romaine lettuce leaves were grown entirely by the team and it marks the start of the “veggie project” that will see more food grown in space. 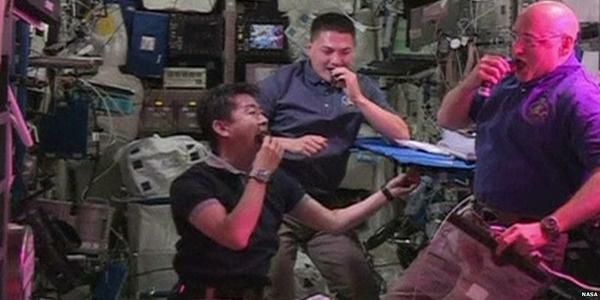 NASA scientists say fresh food will have a positive impact on the astronauts’ health. Astronauts have been growing crops in space for years for research, but this is the first time they have been allowed to eat their produce. Looks like the astronauts will no longer have an excuse to not eat their veggies! ← Shooting stars!!! Don’t miss the Perseid Meteor Shower this week! Haha love the humour on the post! Why just 2likes, it should of 2 hundred! Best wishes for the blog! If you want go visit mine, maybe you will like it as I liked yours! And maybe you’ll get inspired about something! https://thebeautyofspace.wordpress.com/ Cheers!